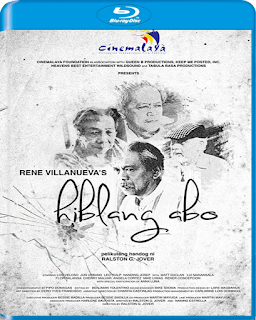 Hiblang Abo deals with four abandoned elders in an institution. 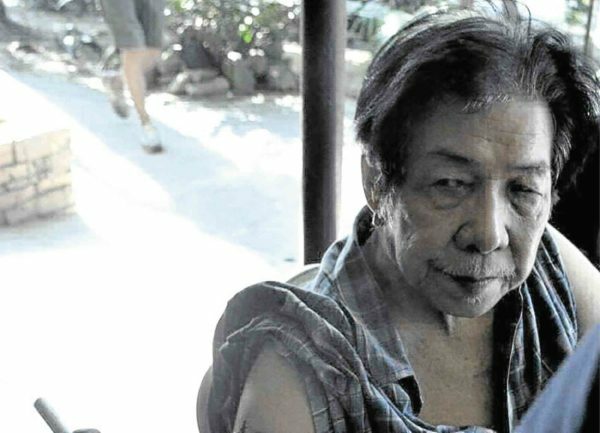 Huse, Sotero, Blas, and Pedro are residents of Bahay ni Juan. They are the Fab Four in that community of senior citizens. They are the most popular able-bodied residents. They are the ones always interviewed by visiting college students. 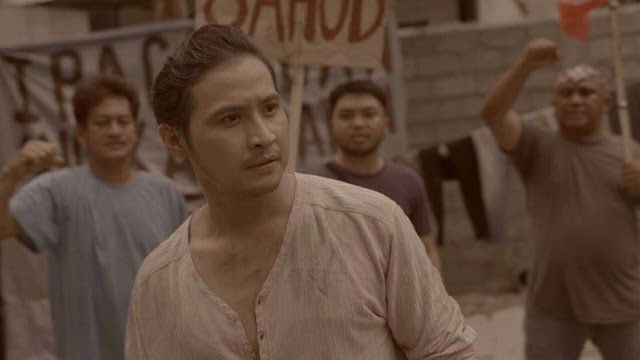 An amusing scene shows Pedro (Nanding Josef) running away from a nosey student. He is shocked to hear personal queries from the female youngster. The elderly group do talk about racy stuff but only among themselves. Huse (Lou Veloso) is the romantic idol of his three companions. He is paired with Rosa, a fellow resident. The group had a big laugh over Rosa's pilfering of shorts of Huse. The towering Blas (Leo Rialp) is admired for his bombastic speeches. He is a former union leader fighting for improved working conditions and expanded benefits for employees. 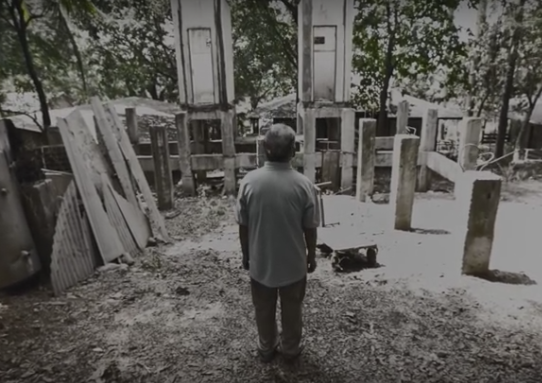 Sotero (Jun Urbano) longs to see his daughter. He packs his belongings and acts as if leaving the place. His three roommates ignore him and urge him to go to bed. Sotero later realizes that they have a fairly good life there after all. They eat three times a day. They have a decent room to sleep in. They have regular medical check-ups and free doctor consultations. Of course, there are some things they carp about. Blas finds the food bland. He also gets annoyed with Sotero's alleged sightings of his daughter. With lots of idle time, several residents daydream or reminisce about the past. Pedro recollects negative experiences such as his time as a vagabond. Huse hates waiting the most. He is resigned to face death. They are at their happiest when they receive visitors. They get to talk to other people besides their friends. They value visits from students and researchers. But, the only regular visitor to the institution is death. The film Hiblang Abo is an almost solid adaptation of Rene Villanueva's award-winning play of the same name. Most of the dialogues are retained in the film. 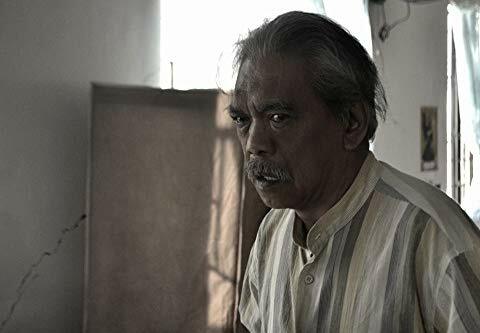 However, there are artistic inputs by the filmmakers that radically alter the play's focus on alienation and resignation to death. The film's emphasis on deception and lying by the residents effectively cut my empathetic connection with the elders. Why will I feel pity for liars? During the medical consultation scene, the resident doctor states that the elders are liars. That crucial line about liars is a new addition and was never uttered in the play. A flashback scene reveals that Huse is not the gigolo he is bruited to be. He is a homosexual abandoned by his family, and later by his lover. Is he feigning interest in Rosa to hide his past? This duplicity by Huse, a new addition for the film as well, affected my reading of his narration. I'm no longer sure what is true in the things he says. The best film scene for me shows the elders in their brightly lit room. The sound of a switch being turned off bridges the room scene to a shot of the Bahay ni Juan building at nighttime. The split-second transition mirrors the fleeting lives of the residents. Within a span of three days, three deaths occur in the institution.